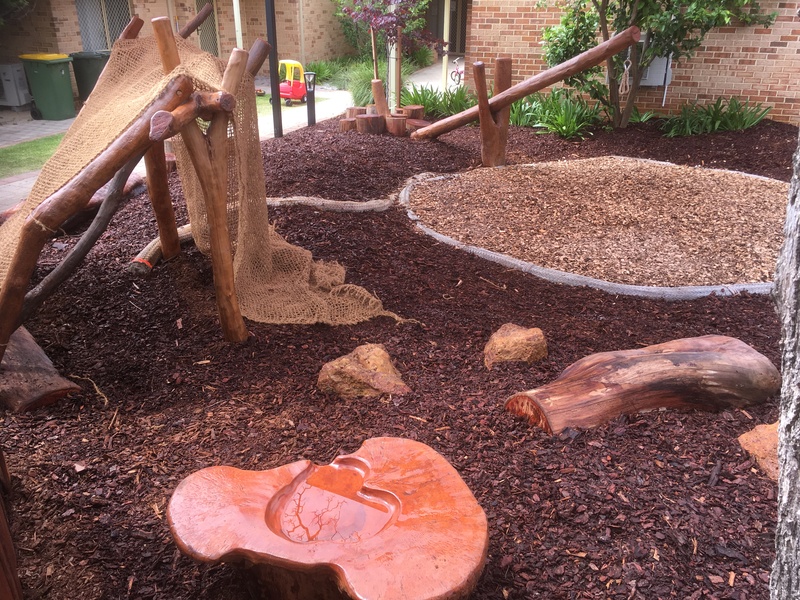 NBP was selected by Starick, a charity supporting women and children escaping domestic and family violence, to design and build Nature Play spaces for their two women’s’ refuges. The Nature Playgrounds and retreat spaces were specifically designed to enhance the outdoor areas of the refuges, and provide high quality nature play. The Nature Play Spaces provide both natural retreats, and wonderful playgrounds for the children and their mothers, to help support their wellbeing in their time staying at the refuges. 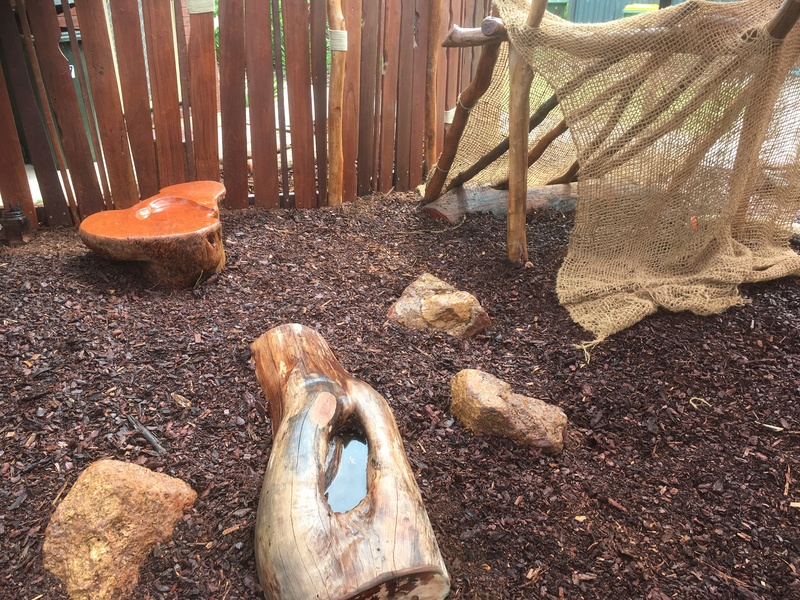 The nature play designs for the refuges were based on beautiful natural timbers and water play, to attempt to bring a little bit of nature into the centres. 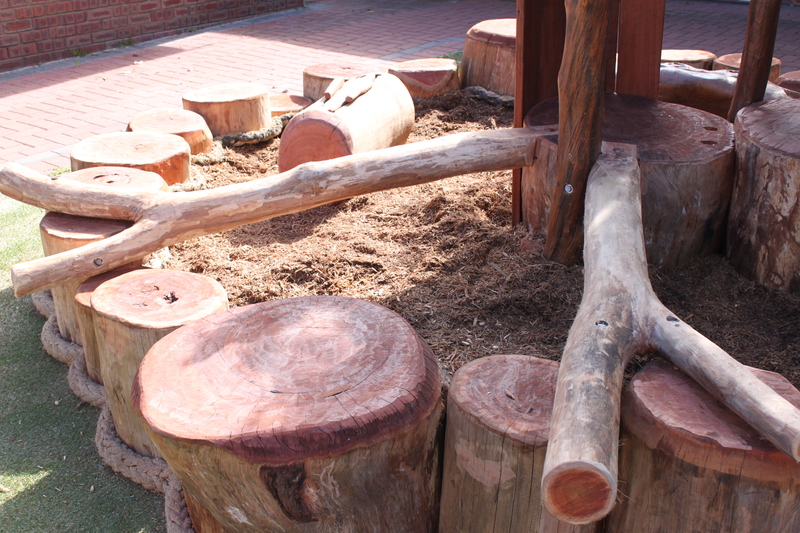 The Mary Smith design included a combination of handcrafted sitting logs, swing, and balancing physical challenges for the children, with sensory play including water play, mud kitchen and cubby spaces. Starick House had a cleverly designed Bubble POD, which brought together musical play, water play, balancing and a hub space, in a compact and wonderful play area for children to get lost in. 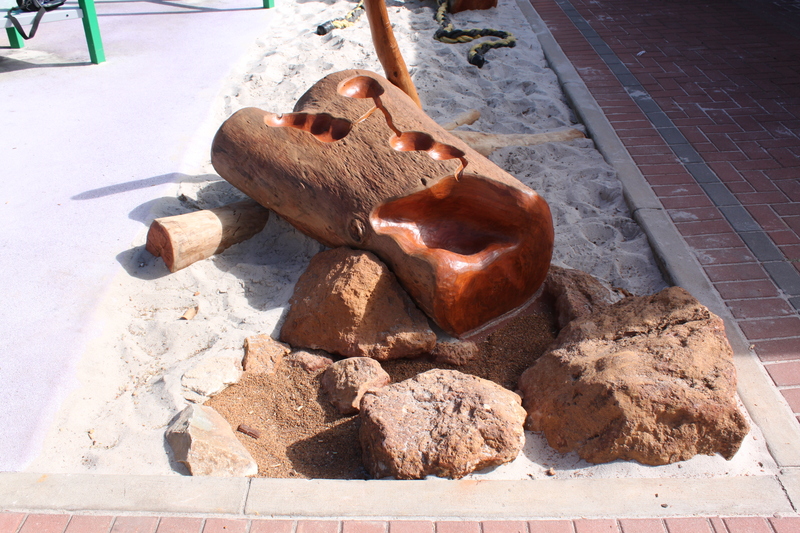 This was combined with more water play with beautifully carved logs, rocks and stumps. 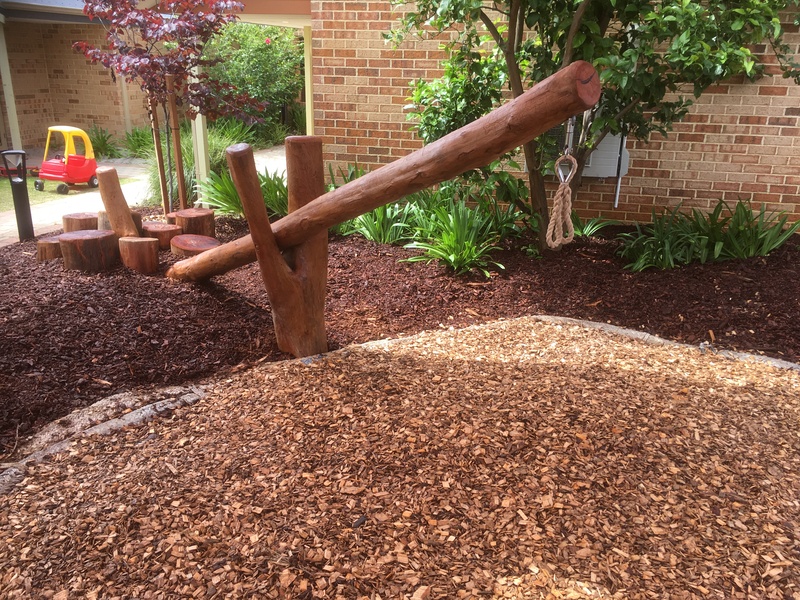 The end result was a spectacular transformation from worn and sparse traditional playground areas, to an oasis of natural play spaces and beautiful timbers. It was a privilege for our company to be able to contribute to the amazing and hard work that Starick does in supporting women and children experiencing domestic violence, in helping them to realise these wonderful nature playgrounds and retreat spaces for their refuges. We are hoping to work with Starick in the future to continue to raise funds to complete the building of the masterplan designed nature play areas. 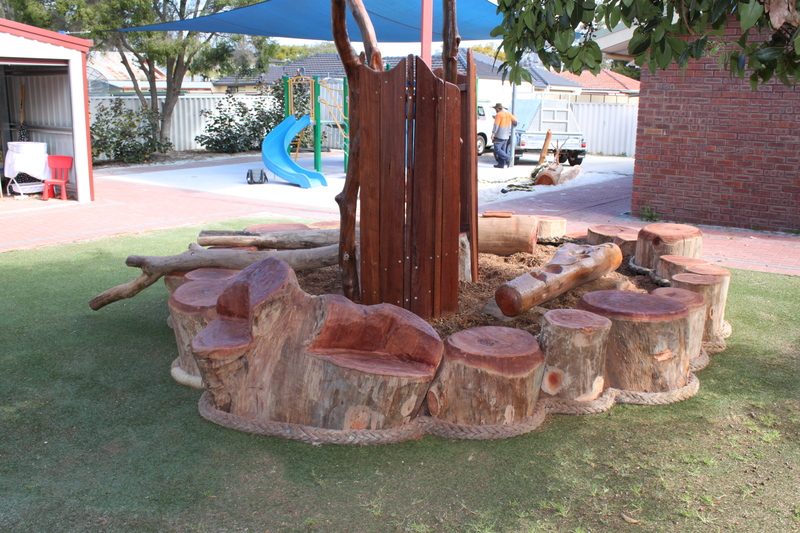 Nature Play Elements: Bubble POD with steppers, balancing logs, music drum, water trough, cubby hub; water troughs and rocks, sitting log, tree plantings. 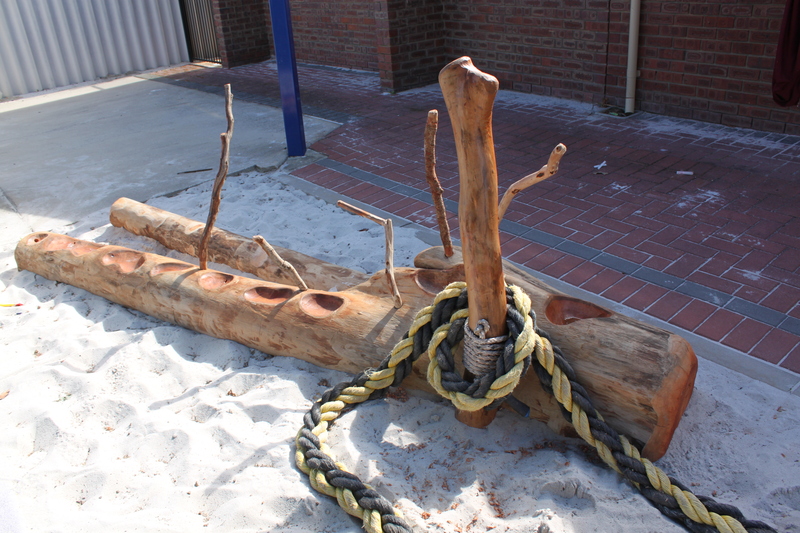 Nature Play Elements: Ground Logs, steppers, balancing logs, vestibular swing, cubby, mud kitchen, ground rocks; water play: timber water trough and water rocks, carved top water stumps and logs, tree plantings.